If you are planning a trip to Paris and want to spend some time admiring great artwork and visiting grand monuments, you’ll likely save money and time by purchasing a Paris Museum Pass. 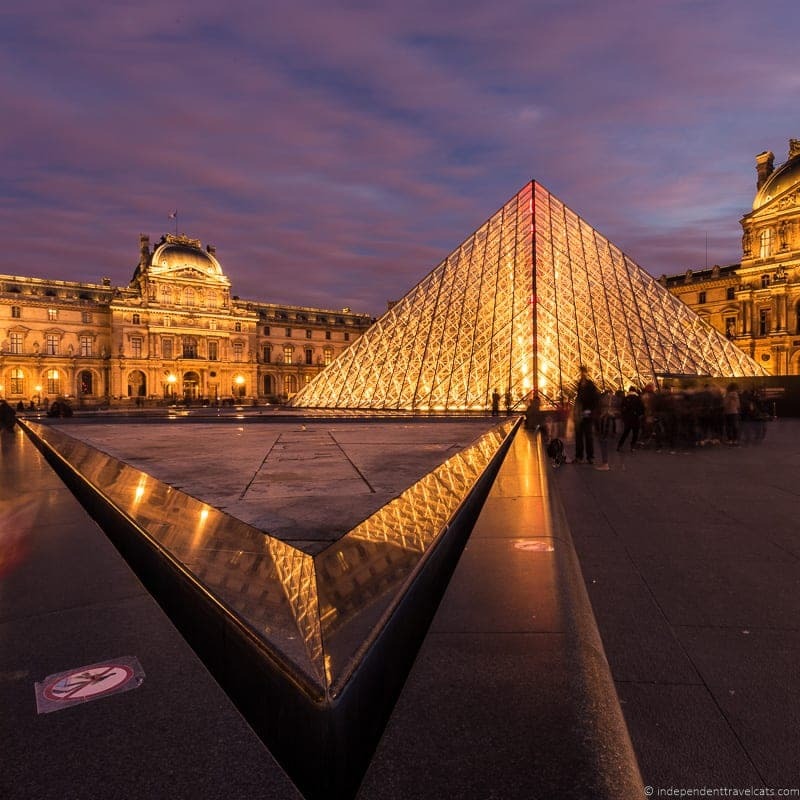 The Paris Museum Pass not only allows for free admission to a number of the top-visited attractions in Paris (i.e., Louvre, Orsay Museum, Arc de Triomphe, Notre-Dame tower, Versailles), but it also allows you to skip the long entrance lines at many of these attractions. However, in some cases, the Paris Museum Pass may not be a good deal for you, especially if this is not your first visit to Paris or you have only a day or two in the city. We’ll help provide all the information you need to know to decide if the Paris Museum Pass is a good deal for you, decide on which pass to buy, and how to get the most value out of your museum pass. We’ll also share our own experiences using the Paris Museum Pass and give you an honest breakdown of our own cost-savings. You can check out the full list of attractions here. Note that while the pass ensures general admission, the pass may not cover admission to special exhibits, audioguides, or special events taking place at a particular museum or attraction. Now there are several major attractions in Paris that are NOT included with the Paris Museum Pass that you should take into consideration. These include the Eiffel Tower, Opéra Garnier, Grand Palais, the catacombs, Espace Dalí (Salvador Dalí Museum), Jacquemart-André Museum, Luxembourg Museum, Musée Marmottan Monet, Montmartre Museum, elevator at La Défense, treasury at Notre-Dame, and the dome at Sacré Coeur. Further the pass does not include any transportation passes and does not include Seine River boat cruises. All the Paris Museum Passes cover the same attractions and the only decision you need to make concerns the length of your pass. They are currently sold as 2-day, 4-day, or 6-day passes. Passes are activated after your first usage and must be used on consecutive days. So if you purchase a 4-day pass with your first visit on May 5th, it will be valid from May 5th through May 8th. It is important to note that we are specifically discussing the Paris Museum Pass. However, there are a number of other similarly named Paris passes, most notably the Paris Pass. These are completely different passes and have different advantages and disadvantages; the Paris Pass includes the Paris Museum Pass, a Paris Attractions Pass, and a public transportation pass. We have used both the Paris Museum Pass alone as well as the Paris Museum Pass as part of the Paris Pass. We find that the Paris Museum Pass is a good fit for more travelers, but you should look into each pass to decide for yourselves. We have written a full Paris Pass review here that you can read if interested in that pass. All information in this article will only apply to the Paris Museum Pass which was first introduced in 2006. Note that some sellers also sell a bundle of passes that include the Paris Museum Pass but also include other passes or attraction tickets. Just make sure you know what you are buying! First, you should make a list of all the attractions you want to visit during your time in Paris. Try to come up with a realistic list based on the amount of time you’ll be in Paris as you don’t want to spend your entire trip going from museum to museum. Next, check entrance fee cost for each online or using a recent guidebook. Add up the costs to come up with a total. NOTE: This example uses current prices as of July 2018. Next, you’ll need to decide how many days it will likely take you to visit all the attractions. Remember it can be easy to be too ambitious and think you’ll take in three art museums and two churches in one day, but that will simply leave you exhausted and overwhelmed. Try to be realistic. Example: Day 1: Spend a full day at Versailles. Day 2: Combine Sainte-Chapelle, Conciergerie, and the Louvre. Day 3: Visit the Rodin Museum, see Napoleon’s tomb at the Army Museum, and do the Paris Sewer tour in a third day. This means I would need 3 days. Now, compare the price of the needed pass (2, 4, or 6 day) with your entrance fee total. Current prices (updated in 2018) are €48 for a 2-day pass, €62 for a 4-day pass, and €74 for a 6-day. Typically, you’ll find that you’ll save money if you plan to visit more than four or five attractions with the pass. However, this is not always the case so do try to use tips above to figure out if they are worth it for you. Example: OK, so it would cost me €80,40 as an adult to visit all the places on my list and I think I need 3 days. Since there is no 3-day pass, I’ll need to purchase the 4-day pass which is €62. If I visit all the listed attractions in the 4-day period, I’ll have a cost savings of €18,40 and it should also keep me from waiting in ticket lines. Further, buying the 4-day pass gives me more time to visit these attractions without trying to squash them into 3 days which may end up being too rushed. 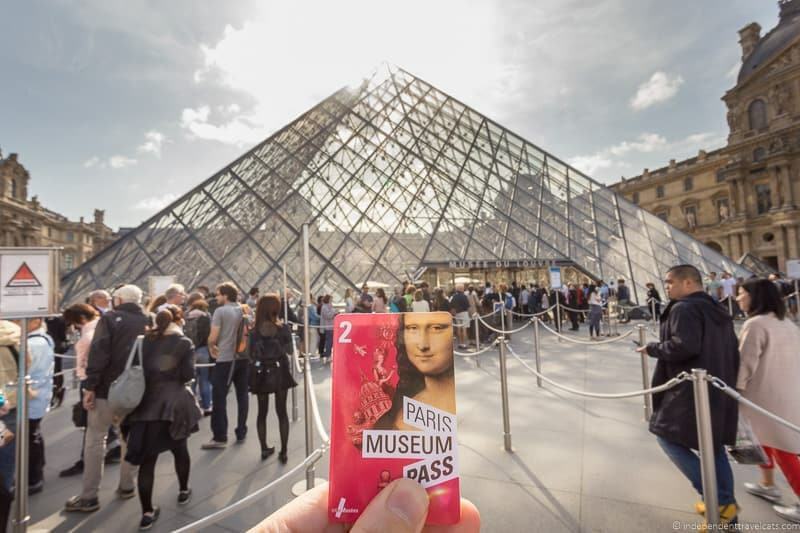 In Person: You can buy the Paris Museum Pass at a number of locations, including at many of the museums and monuments that accept the pass, FNAC stores, several visitors centers in Paris, tourist information desks at both Orly and Charles de Gaulle airports, and even a few theater booth kiosks. There are even a few places in countries outside France that you can now buy the pass. You can see the full list of vendors on the Paris Museum Pass website. If you are planning to buy it in person, I would suggest purchasing the passes at a place where you won’t have to stand in line for long such as a visitors center, FNAC store, a smaller museum, or airport information desk. If you try to get them at a place like the Louvre or Musée d’Orsay , you’ll likely end up waiting in line. Online with Hotel or Home Delivery: You can purchase the Paris Museum Pass online from Paris Tourist Office and have them delivered before your trip or have them delivered to your hotel in Paris. However, you will have to pay shipping costs that will likely decrease the cost savings of the pass, so I would suggest just buying it in-person once you get to Paris or doing the voucher option below. Online Voucher for Pick-Up: To avoid shipping costs, you can also order 2, 4, or 6 day Paris Museum Pass online and pick it up in Paris free of charge. There are several website offering this service, we’d recommend comparing prices and pick-up locations. You can order online from Paris Tourist Office and then collect your order free of charge with your purchase voucher from the central Paris Tourist Office located at 29 Rue de Rivoli, 75004 Paris or the Visitor Center Gare du Nord located at 18 Rue de Dunkerque, 75010 Paris. You can also purchase the 2, 4, or 6 day Paris Pass online from GetYourGuide and then pick it up with your voucher receipt at their office at 23 Rue d’Aboukir, 75002 Paris. The office is about a 10 minute walk from the Louvre museum. You can also purchase the 2 or 4 day online via TicketBar and pick them up with your emailed voucher at their Paris agency located at Pyramides Agency Located on 2 Rue des Pyramides, 75001 Paris. Plan ahead. Do a little research and figure out what attractions are included with the pass and which ones you plan to visit so you can make an informed choice of whether the pass makes sense for you or not. Remember that once you first use the pass, the time begins and it is only good for the next 2, 4, or 6 consecutive days. When we had the pass, we thought about our days in Paris as either Pass days (focused on Pass attractions) or non-Pass days (focused on free things and attractions not covered by the pass). Also note that you have unlimited entry to museums during your Pass days so if you want to make 3 visits to the Louvre, you can! If you get to a museum and are not sure if you are in the correct line for pass holders, ask a security guard or museum personnel. We witnessed countless people with museum passes who were standing in the regular lines. While sometimes a museum won’t have any priority access lines open, it never hurts to ask as it may save you an hour! Note that the pass often isn’t a good value for children as they often get free or reduced entrance fees anyway. In fact, most museums covered by the Paris Museum Pass give free entry to children under age 18 accompanied by an adult. Currently there are only 6 of the over 50 museums and monuments that do not provide free entry to children (e.g., Museum of French Cinema, Interactive Science Museum). So if you are traveling with children under age 18, they probably do not need a pass. Many museums and monuments are free for disabled people and their companion so the Paris Museum Pass isn’t necessary. Make note if any of the attractions you want to visit offer a free admission day. If they do, you could always visit them on a non-pass day. For instance, we’ve visited the Louvre, Château de Fontainebleau, and Musée Cluny on free admission days without needing to have a pass. Most attractions in Paris shut down for at least one day per week. Smaller attractions may have limited hours and may only be open a few days each week. Also attractions may be closed or partially closed for long periods of time for restoration work. If you have a 2-day pass and plan to see 5 attractions, you should check ahead to make sure those attractions will be open and how you can best use your Pass days. Read the tips provided on the Paris Museum Pass website and/or the printed information that comes with each pass about each attraction regarding closures, best entrances, and best hours to visit. Even though we read that we should get to Versailles by 10am to best ensure priority access, we still decided to sleep in and arrived around 11am. We should have listened as there was a very long line by the time we got there! 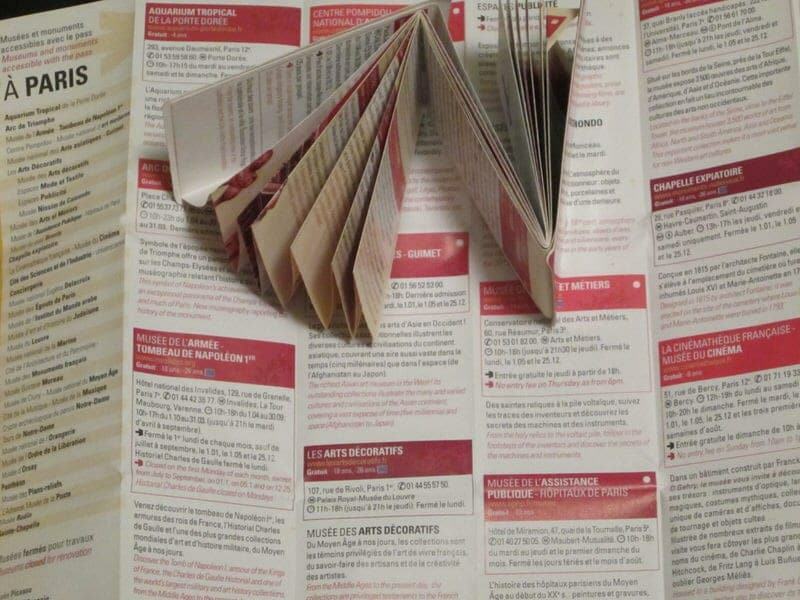 The passes fold out to give you tons of info on all the attractions! At most places you will indeed get to be in a shorter priority line (perhaps even just walk inside); however, some places with tighter security still require that you wait in the same security line as everyone else. These include the Notre-Dame tower (ticketing and security line the same), Sainte-Chapelle (only priority access for ticketing, not security line), and Versailles (can skip ticketing line but must wait in same security line). 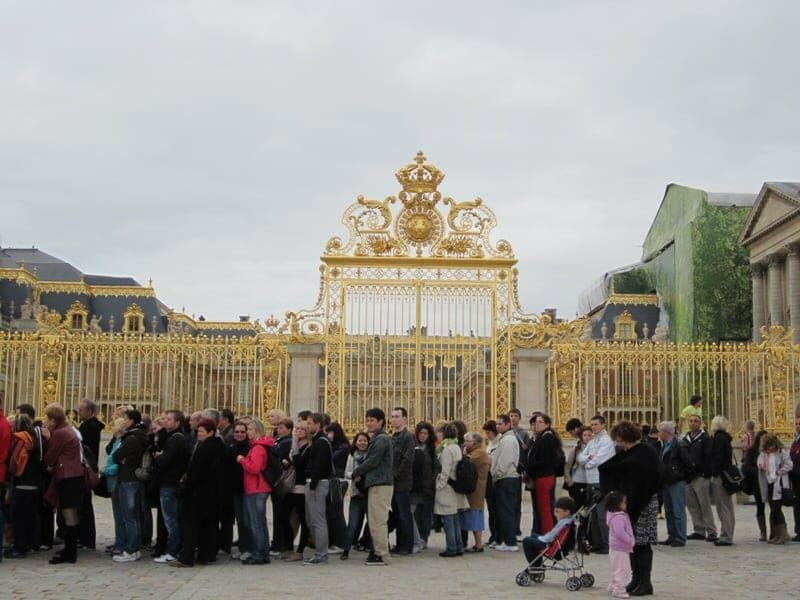 For busy attractions like these (especially Versailles), I would suggest trying to get there around opening to avoid a long wait. If you plan to visit the Notre-Dame Towers, we recommend making reservation for a time slot booked directly on the mobile Jefile application (available free for Google, Windows, and Apple) before your visit to save time. If you plan to visit the Palace of Versailles, the Paris Museum Pass includes free entry into the park and gardens as well as the general self-guided audio tour of the palace and the other estate properties (e.g., Trianon Castle and the Estate of Marie-Antoinette). The only exception is when the musical fountain shows or a special event is happening in the gardens, in which case you will need to pay extra to enter the gardens. I would just check ahead on the Chateau de Versailles website for the garden schedule to check to see if these events are taking place during your visit. If you want to visit the Eiffel Tower (like most visitors) it is not included as part of the Paris Museum Pass. We recommend booking your ticket in advance (or guided tour) to save time here waiting in line. See our guide to visiting the Eiffel Tower for lots of tips and advice for planning your visit. Don’t try to see all the museums (or even half) in one visit! Some people get their Paris Museum Passes and go down the list visiting as many as they can squeeze into their trip. We certainly know the feeling of wanting to see everything, but if you do this, you are going to be exhausted. Paris has so much to offer that is not on that list and you’ll want to take time to slow down and soak up the city whether it is lingering over a cup of coffee at a café, sitting in a manicured park, watching the sunset over the Seine, or dancing at a club. Hopefully you’ll be back again in the future to catch those attractions you miss, but don’t go through Paris as if it is one big checklist of famous museums. We have used the Paris Museum Pass twice so far, once in 2012 and then again in 2017. 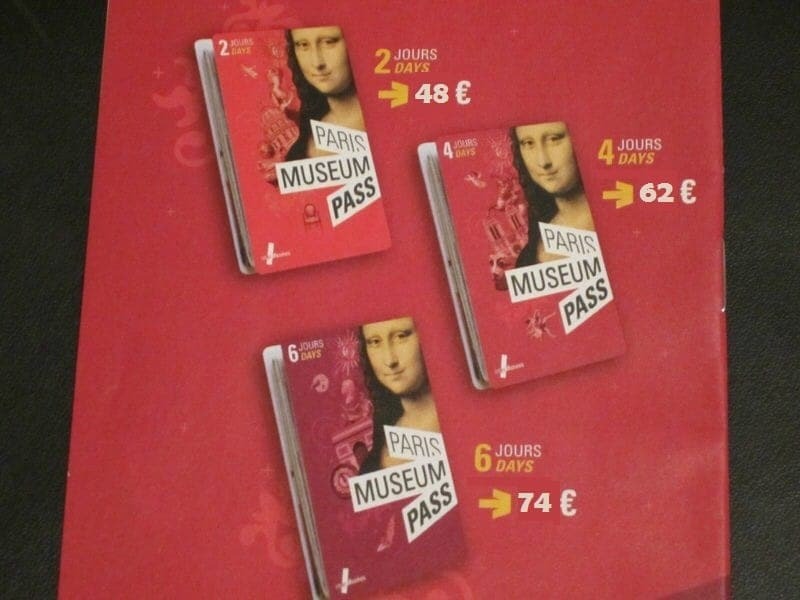 In 2012, we purchased 2 4-day Paris Museum Passes in person at the Tourist Information Desk at Charles de Gaulle Airport. 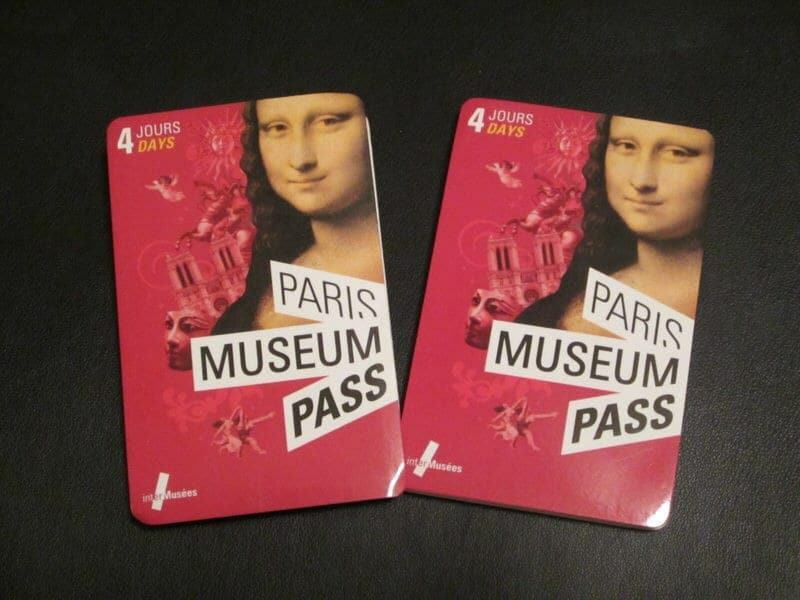 Then in 2017 we purchased two 2-day Paris Museum Passes online as part of the Paris Pass. In 2012, we had a week in Paris. Since we had made reservations to visit the Eiffel Tower on the first evening (not included in the Pass) and had tickets to a performance at the Opera Garnier for later in the week, we validated our pass on the second day of our trip. All you need to do to begin using the pass is to write your name and the date of first use on the back in pen. The staff at some attractions and museums will just take a look at it and others will scan the barcode when you enter to track the use of the pass. During our 4-day period, we ended up visiting 8 attractions covered by the Museum Pass. We would also visit the Cluny Museum, but we did so as part of a special evening event with free admission. While we spent a lot of time in some of the attractions we visited (Louvre and Versailles for example), we spent much less time at some of the other museums such as the Panthéon. While Ethan spent some quality time examining war artifacts at the Musée de L’Armée, I was able to walk over to the Rodin Museum and stroll around the pretty sculpture gardens before popping back over to take a look at Napoleon’s tomb. The great thing about having the pass is that you can drop by for a quick visit of the less crowded attractions that you might otherwise have not visited. In all instances, we were able to bypass the ticket buying lines and it was great to be able to avoid a couple of really long lines with this pass. However, for a couple of the places we still had to wait in lines. Notably, the security line for Sainte-Chapelle and Versailles. These are places you should try to arrive early if you can, or alternatively visit later in the afternoons. As we mentioned earlier, we had read that we should get to Versailles before 10am to try to get priority access and to get in early. But we didn’t do that on our first visit and by the time we got there, they were not allowing priority access for anyone since the lines were so long. long lines at Versailles..we should have came earlier! 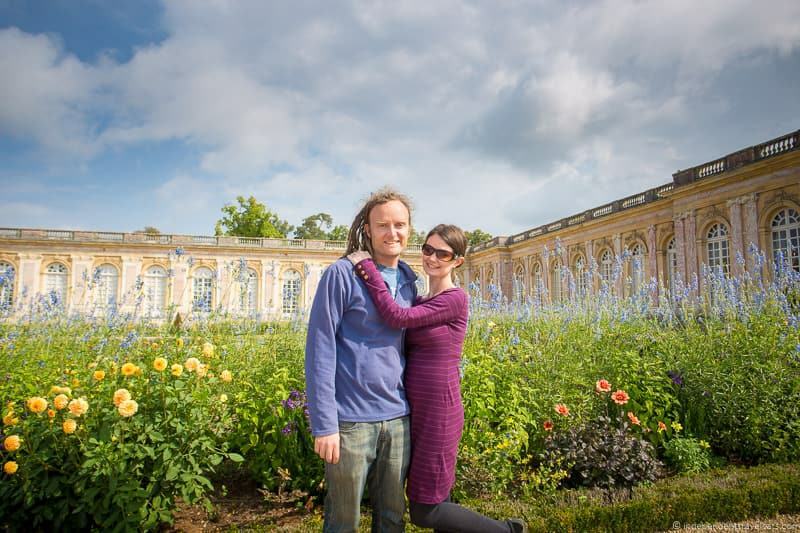 But the gardens at Versailles are lovely and not so crowded! So in 2012 we saved €59 and a few hours saved from not having to buy tickets and being given priority access. We were definitely very happy with our decision and would highly recommend the pass to save both money and also precious vacation time. However, someone visiting the same places today (as of July 2018) with the same pass would actually have greater savings (€76). However, it should also be stated that we probably would not have visited all of these places if we did not have the pass. For instance we probably would not have taken the time to visit the Pantheon and I probably would not have paid the full admission price to only visit Napoleon’s tomb at Musée de L’Armée. As a history lover, it would be easy for me to museum hop my entire visit, especially with the Museum Pass. But you don’t want to spend your entire time in Paris looking at artwork and learning about French history, so be sure you plan some down time to get to know the Paris beyond the walls of the museums. 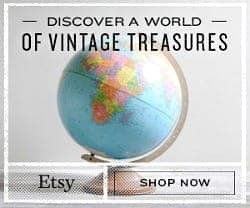 Before your trip to Paris, I would highly recommend taking a look at what the Paris Museum Pass can offer and decide if it is a good value for you. During our next visit in 2013, we decided not to purchase a Paris Museum Pass as a lot of the things we wanted to do during our visit were not covered by the pass so it didn’t make sense financially to do so. Instead we visited several free monuments and museums and even planned it so we got free entry to both Château de Fontainebleau and the Louvre. We used the Paris Museum Pass again in 2017, revisiting some museums and also going to some new attractions. We again found that the pass saved us money and time, and we continue to highly recommend this pass. There are still over 20 places covered by the Paris Museum Pass that we have yet to visit so it is likely we’ll use the Paris Museum Pass again in the future! We hope this information is helpful. Feel free to ask us any questions you have about the Paris Museum Pass in the Comments section below and we are happy to try to answer them! Also, we’d love to hear from others who have also used the passes. I am traveling to Paris this week for Easter and I notice that some attractions will not be open on Easter Sunday or Monday. I arrive Thursday evening and so I would be using the pass all day Friday, Saturday and Sunday, returning Monday, so would you recommend me getting the 2 day pass for Friday and Saturday and getting separate ticket for Versailles as I’d like a guided tour? Any extra free time Sunday I could use free attractions if anyone open? One main question is did you use travel card to move around? Because I would have thought it would be essential to include travel pass with attractions? I.e. combined travel/ attractions pass? Wouldn’t this be cheaper? It’s so sad that the Notre Dame is in flames. That really is a terrible shame, especially for the Parisiens themselves. Yes, since you will be visiting over Easter many things will be closed on Sunday and many on Monday as well. So it will be more important to really plan those days ahead so you know what you can visit and when. I think your plan for the 2 day Paris Museum Pass is a good one if you are trying to decide between a 2 day or 4 day pass, although I’d do the cost savings calculations just to be sure as it might still save you money to go with the 4 day pass if there are a couple places you plan to visit on Days 3 or 4. The Paris Museum Pass does not have a travelcard or attractions pass, I think you may be referring to the Paris Pass? The Paris Pass includes the Paris Museum Pass, Paris Attractions Pass, and a travelcard that includes public transit within Paris. But that is a different pass so be sure of which pass you want to buy. If you purchase the Paris Museum Pass only, I’d recommend the carnet of 10 tickets for the metro, bus and trams as this is a good value. This also work within RER within Paris but you will need to buy a separate train ticket to get to and from Versailles as that is outside of Paris. Yes, the Notre Dame fire is very tragic and sadly so much has been destroyed. It is one of my favorite buildings in Paris and one of the first places in Paris I visited at age 16. Very shocking. I hope some will be saved. Hope that helps, let me know if you have further questions. That’s very helpful thank you. I think I might go for the 4 day because knowing me I’ll be up early Monday morning and there may be things I want to see before returning to St Malo. Hi! My husband and I are going to Paris for the 1st time this June 14-18,2019. I want to buy the 2 days Paris museum pass. I am planning to start using the pass on Sunday and Monday. On Saturday we want to go to Versailles in the morning and Eiffel tower late in the afternoon. Do you think this is a good idea? I know June is a busy month for tourist and I don’t want to line up and wait for more than an hour in Versailles. What ticket should we buy for going to Versailles that we can skip the long line at the security check? Will this be expensive? Also what I found out that the paris museum pass does not cover the transportation. What will you recommend in regards with buying the pack ticket good for 4 days? Hope to hear from you. Thank you! The Paris Museum Pass includes entry into Versailles and the gardens (extra cost for days with the musical fountains). But if you are not using the Paris Museum Pass for your visit, you should pre-book a ticket. If you can, I’d recommend avoiding weekends and Tuesdays at Versailles as these are the busiest days of the week. But if you can’t avoid it, that is OK, but I’d recommend pre-booking a ticket and being at the palace at opening time or joining a guided tour. For individual tickets, you can book the Passport tickets that have an entrance time on the Versailles official website and they guarantee entrance within 30 minutes of that time. You will join the line for those with pre-booked tickets and passes. You can also book a guided tour (via the official website for an extra 10 euros to the regular ticket) and you will join the tour at a place in the courtyard and have access to the palace at the time of your tour and can visit the palace and gardens on your own after the tour finishes. That is one of the best ways to get fast access as you don’t need to join the regular line. The other option is to join a guided tour (not the one offered by the palace staff) that will also include your transport to Versailles and back to Paris, such as this guided tour. Groups with booked visits are able to go through a separate line than individuals. The transportation from Paris to Versailles is not very expensive, and you can take the RER C from central Paris to near the palace. You can just buy a ticket at the ticket machine or booth at the station. The station is Versailles-Château–Rive Gauche and be sure to keep your ticket as you will need to use it to get out of the station when you arrive at Versailles. It is about a 12 to 15 minute walk from the station to the palace. If you want a 4 day pass that includes transportation, you might consider the Paris Pass. However while it includes a transport card, it still does not include transportation outside of Paris (such as to Versailles). Thanks for the info Jessica. Do you think we can save money if we will buy the 2 days Paris Pass? We will arrive in Paris on Friday afternoon, so basically just half day on friday and we have 3 full day on Sat, Sun, and Mon. Then we will leave early morning on Tuesday. I was thinking buying the 2 days Paris Pass & use it on Saturday & Sunday only. For our Friday half day we will just visit the free museums and attractions and Monday full day we will visit the Eiffel Towe since it’s not part of the Paris pass. For the transportation we will just buy the individual tickets to use on that day. What you do think? Sorry for confusing you with my queries. Thank you! first time visitor in Paris . is it safe to buy the Paris Museum Pass on-line and then get the pass at their office in Paris ? also , like to commend you regarding the very helpful tips you provided regarding the Museum pass . Kudos to you !! Yes, when you purchase it online from the Paris Visitors Bureau, you just need to bring the printed voucher and a valid ID to the office address provided on the voucher to collect the Paris Museum Pass. We have never had a problem with this and this pass has been around since 2006 and has a very good reputation. But if you feel uncomfortable purchasing the pass online in advance, you can also wait to purchase it in person at a visitor center, ticket office, or at one of the many attractions in Paris. I would just recommend choosing a place without long lines. thank you very much for the quick reply . it’s just awesome to received a reply right away . will there be a long line up if you purchase the pass from one of the visitors office or ticket office ? Hi Benjamin, It is impossible to predict but normally any lines move fairly quickly. Here is a list of visitor centers but you can also pick them up at the airport, certain FNAC ticket offices, and the attractions themselves. I’d just look for a place that is convenient to your travels. I’m a fairly experienced visitor to Paris for an American (11 times), and just wanted to drop a note to compliment you on the good information you provide here. I have used the Paris Museum Pass several time, think it to be very valuable, and usually recommend it to friends who are going to visit Paris. Going forward, I’ll try to remember this page, and send folks here if they want or need a second opinion. Also, it’s been a few years since I’ve visited, and I’m sure the security situation is more strict these days, so I appreciate getting the latest information on the security lines. So glad you enjoyed our Paris Museum Pass review and yes, please feel free to refer other travelers going to Paris to our post. I have used the Paris Pass several times as well (since 2012 I think) and we still have yet to visit everything included on it. We also like to revisit some of our favorite places if it has been a while. Yes, the security has become stricter since the terrorist attacks in November 2015. When we visited in December 2015, we had trouble just getting into hotels for meals. But they have loosened back up but places like the Eiffel Tower do have stricter security than ever before. But we haven’t seen a huge impact on the other sites on our last visit, but they ebb and flow with threats. 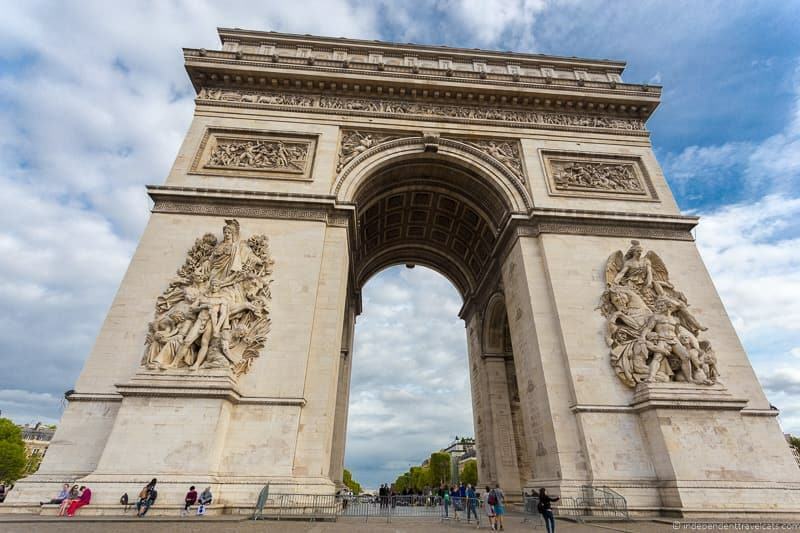 Currently, the issue are the riots and protests, which have closed some of the monuments due to safety concerns, including the Arc de Triomphe and Eiffel Tower and for short periods of time. That is a great tip for using the restroom! The city has been installing more free toilets (we saw more on our last visit) but there are never enough for the number of visitors so that is definitely a good tip! What a great article, so informative! My husband and I will be going to Paris for the first time this June, and your inputs are so helpful. Thanks for writing this one! I and my partner planning to visit Paris in end of Next March. I bought Paris All access Museum pass for 2 days. I want to visit Notre dam Cathedral with Treasury, Crypts and Tower. Is it preferable for me to buy a separate Guided tour or The pass itself is sufficient? If separate guided is required, can you please suggest me one which cover the whole thing for Monday? The Paris Museum Pass includes free entry into the Notre Dame crypt and to the towers. But it does not include any guided tours and does not include access into the Notre Dame Treasury. If you would like a guided tour of the interior of Notre Dame you can book a Notre Dame tour this one or this one. But the guided tours don’t include the towers, treasury, or crypt as you will need to explore those on your own. Because of the tight spaces and number of people, I don’t think guided tours are common to these areas. But there are audioguides you can purchase at the entrance for a small fee and they are available in several languages. The cathedral itself is free to enter, and your Paris Museum Pass will give you free entry to the tower and crypt. If you would like to learn or explore more, you may want to book the guided tour in advance to learn more about the cathedral, get audioguides for the tower and crypt (can be purchased at entrance to these), and buy a separate entrance ticket to visit the Treasury (can purchase on site). Lines can be long to visit the Notre Dame towers as only a certain number of people can go up at once and there are a lot of stairs so I’d try to arrive early and do that part first if you can. 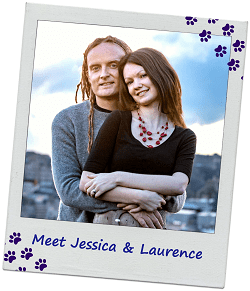 Great article Jessica & Laurence! My husband and I are leaving for Paris this Saturday. It will be our first visit. We were told that you have to use the pass every day otherwise the pass expires. For example if you buy a six day pass and you go to museums on Monday and Tuesday, but then you skip Wednesday, that you cannot use it on Thursday and Friday. Is that true? Hi Ana, No, that information is not true. You can only use the Paris Museum Pass on consecutive days, but you do NOT need to use it every day it is valid. 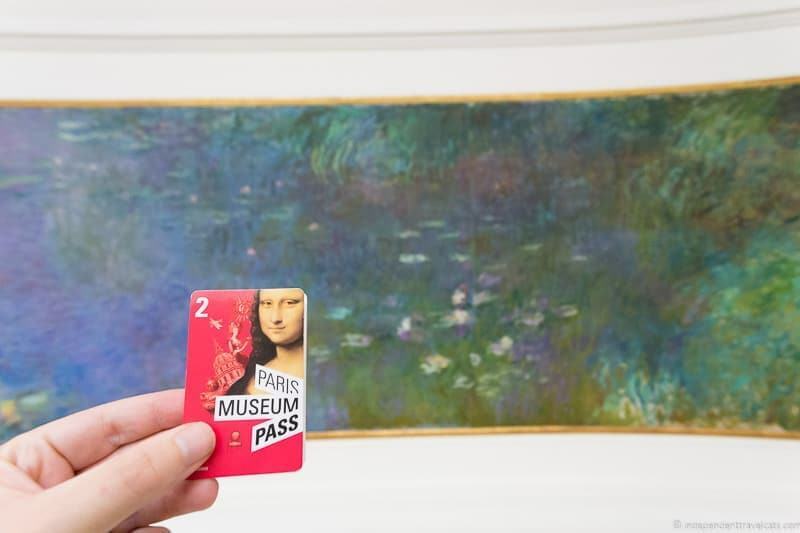 The Paris Museum Pass (and Paris Pass) are activated on the first day you use it and are then valid through the full period (whether it is 2, 4, or 6 days). 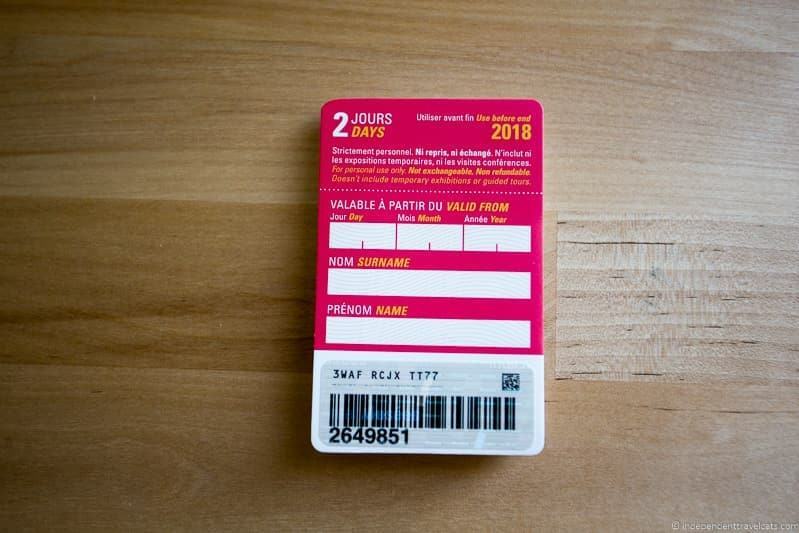 So if you have the 6 day Paris Museum Pass and go on a day trip on Day 4 and don’t use it, it will still be valid when you return for 2 more days. Hope that answers your questions and helps! Wishing you and your husband a wonderful trip to Paris! Your site is helpful. Thank you. I’m confused about whether the Museum Pass will (1) provide entry to the Notre Dame towers and will (2) include a tour guide. Hi Mary, Yes, the Paris Museum Pass includes access to the Notre Dame towers as well as the crypt (separate lines). The main cathedral area is free to visit so you don’t need a pass or ticket for that. You do NOT get a guide or guided tour, but I think you get a brochure. If you are wanting a guide or audioguide at the cathedral, you would need to pay extra for that. If you want to visit the towers, the line for that is normally fairly long, so we do recommend going around opening (or later in the afternoon) if you can. This article was a wonderful find, thank you!! Question: The Paris Museum Pass indeed sounds like a good deal. My concern though is that the attractions we plan to do on specific days (i.e. : Louvre on Friday, Versailles on Saturday, Notre Dame on Sunday) will fill to capacity and we will not get in unless we buy timed-entrance passes in advance. When you purchase the Paris Museum Pass, are you able to pick specific attraction entrance days/times in advance and have them loaded on the pass? The Paris Museum Pass acts as a ticket to all the attractions so you already have a ticket and can just get in line. You are not able to do timed entrances with the Paris Museum Pass to any of the attractions you mentioned, but some do have fast-track entry. Note: Notre Dame is free to visit, it is just the towers you have to pay and there is normally a long line to go up them. I would just recommend going early to the busier places (such as Versailles, the Louvre, Sainte-Chapelle, Notre Dame towers) so you do not have to wait in line as long. We have never not gotten into an attraction when using the Paris Museum Pass but you don’t want to show up near closing time and most attractions stop allowing people to enter either 30 minutes or 1 hour before the closing time. So just be sure to watch the closing times (and last entry times) and get there well before them. If you want a timed entry ticket, you will need to pay more for those and buy them separately. But that will definitely cost you more, but you should do what is best for your trip! Jessica- Glad I ran across this website. Interesting information. I think given the dates and duration of our stay in Paris (July, six nights) I am thinking timed entrances to the Louvre might be a worthwhile investment… what I can’t seem to determine from anyone is how far in advance you can buy these items? Do you have any knowledge of this? Thanks no matter, and cool site! Hi Robert, So glad you are finding our Paris Museum Pass info helpful. Now the Louvre entrance is of course included with the Paris Museum Pass (as well as the Paris Pass). With the passes, you get to stand in the quicker priority line and this is also the same line that those with pre-purchased tickets, memberships, etc. stand in. Those without tickets or passes stand in the longer line, but all must go through the security checks. So first, the Louvre changes its ticket and entrance policies often (and where certain types of guests can enter among the many entrances) but my understanding is that the “timed entry” tickets guarantee entrance within 30 minutes of the entrance time. So bear that in mind that if you have a 11:00am entry time, you may not get in until 11:30am. The tickets are currently available on the Louvre website 6 months in advance here. July and August are definitely busy and crowded months. I would say that purchasing the tickets can be a good investment if you do not plan to visit early morning when it first opens or in the evening as those are the two ideal times to visit with shorter lines. The one place we always recommend people pre-purchase tickets is for the Eiffel Tower. It is not included on any of the main Paris Passes and it will definitely save you time to have a pre-booked ticket although you still need to go through the security lines first. Thank you so much… it sounds like I should just stick with the Museum Pass as that acts the same as a timed entry, with the same shorter line. Definitely “on” the Eiffel Tower, as that is on my wife’s list. Will check the website for summit tix when they go on sale. We are traveling with our 15 year old, and it sounds like she does not need a pass at all. By the by, in perusing your site it appears that one of your photos is in Edinburgh- we were able to visit there last year. Still want to go back to Scran and Scallie! Thanks again. Yes, I would double check, but the last time I was at the Louvre we stood in the same security line (with a Paris Museum Pass) with the people who had pre-purchased tickets. But the website does show that there should be a different “entrance line” (not sure if they are referring to security line to get inside or line to enter the various sections of the museum) for those with timed tickets (separate from pass holders and those with untimed tickets)…when we last visited everyone was put into only 2 security lines. So you may save time with a timed entrance ticket and you may not, depending on how long the waits are during your visit. I would personally just use the free visit on the Paris Museum Pass and just visit at an ideal time. I would recommend getting in line for the Louvre a little before opening in the morning if this is a priority site for you (weekdays are usually a bit better than weekends if you have choice) or visiting during one of the evening opening times. The Louvre does get super busy but people tend to mainly make a beeline for the Mona Lisa (that room is always way too crowded) and explore only that general area of the museum. So if she is on your list, I’d head there first before the museum is too busy and see that area of the museum, and then you can explore the less crowded areas. To make the most of your time, I’d take a look at a map of the wings and rooms (either before you go or when you arrive at the museum) and devise a bit of plan for your visit based on your interests. You can easily spend a few days here so it can help to know what you are most interested in seeing. Yes, I would not purchase the Paris Museum Pass for you daughter. I think the last time I checked there were only 6 of the Paris Museum Pass attractions that charge an entry fee for those under 18, so you are definitely better off not buying a pass. Jessica—-a question for you please……we’re visiting Paris in November, so do you still think it would be beneficial to purchase the Museum Pass since obviously the busy tourist season would have ended? Also we’re bringing our 16 year old granddaughter with us and I see that children 18 or under are FREE in most all of the museums, so we wouldn’t need a Pass for her then. Would she be able to bypass the line and enter with us then if we did have passes? Yes, I would still recommend the Paris Museum Pass for you and any other adults you are traveling with to Paris if you plan to visit more than 4 attractions during your stay. You should definitely check the prices to see if it will help you save money. Although being able to skip the ticket lines, and the priority line features for some of the attractions definitely save you more time during the busy summer months, some attractions are just always busy so it will still help you save time (e.g., Versailles, Louvre, etc.). But the main reason to get it is to save money and if you are visiting several paid attractions in Paris that are covered by the Pass, you’ll probably save money. For children/teens, yes, she would be able to enter for free at all but 6 of the attractions and museums currently covered by the Paris Museum Pass so there is no reason to purchase a pass for her. Now, the specific requirements for entry depends on the attraction but for most sites she should be able to just enter with you if you have the Passes. However, there may be some sites that may require her to get a free ticket. If your granddaughter looks like she may be 18 or older, it can be good to have a photo ID with her if asked for proof of age. I am so grateful that I stumbled upon your website here, as your information that you make available is just wonderful and so to the point, more so than many of the other venues out there. I think that we will wait to purchase these Museum passes when we arrive at the airport—-assuming that’s an easy place to get them. I was going to have them delivered to our hotel, but noticed that there’s a considerable add-on to the cost for each Pass to do this, so will save money by just purchasing them when we arrive. I will continue to watch and read your daily entries from now until we leave in November as with each one I pick up helpful advice. Thank you. Hi Guys, great post! It was exactly what I was looking for as I will be down in Paris for a week in September and was looking to find the best pass/passes to purchase to make the most of my visit. The Paris Museum Pass seems like the best option for me. You did mention, but I just wanted to double confirm again – the Paris Museum Pass does allow for multiply entries to the same museums during the period the pass covers, right? E.g. If I bought the 6 day pass, within that 6 day period, I am able to enter, let’s say the Louvre as many times as I want? Hi Jessica, thank you for this post. My husband and I will be in Paris at the end of September for a week, arriving Saturday mid-day and leaving the next Saturday. I have booked a 2 day Normandy & Brittany tour for the last 2 days. So we will have 4.5 days before that. I am leaning toward the 4 day Museum Pass – I figure Versailles would take a whole day, that gives us 3 days to use the pass for other things if we start on Sunday. We plan to see the Eiffel Tower on the day we arrive. I saw that there is also a 4 day Fast Pass that includes a Seine River cruise and hop on hop off bus x 2 days. It is more expensive but would you suggest going with that? Château de Fontainebleau seems enticing but would that become a whole day, in which case, am I being too ambitious for our first trip to Paris? Hi Jaya, I am so glad that our Paris articles have been helpful to you in planning your trip to Paris! Yes, Versailles and/or Château de Fontainebleau will take a large part of the day for the travel and to have a leisurely visit, leaving you with not too much time to visit other places. So I would choose one or the other to visit. I’ve been to both castles twice, and while Fontainebleau is a great castle and has loads of history with less crowds, Versailles would be my choice for a first time visit as it has a bit more “wow” factor and the gardens there are really beautiful. I’d keep Fontainebleau for a second visit if you return 😉 I’d visit Versailles early (try to get there before it opens) or instead visit in the afternoon when crowds die down a bit for the best experience. A 4 day Paris Museum Pass (or other Paris discount pass) does sound like the best for your trip. I am not sure which 4 Day Fast Pass you are referring to, can you send me the name or link and I can take a look? Is it the Paris Pass? The Paris Pass can be a good value IF you are using the travel pass and plan to visit at least 4 of the added attractions (Seine River cruise and HOHO bus are 2 of them). For any pass, I would look at which of the “extras” (those beyond the Paris Museum Pass) you would want to visit and then check what the prices would be if you bought the tickets separately. We’ve done a full review of all the Seine river cruise companies here. For the sightseeing bus, it is great for getting an intro and overview and getting to some sites on your first day, but my guess is that you wouldn’t use it for the full 2 days as the metro is probably going to be faster to get from place to place so 1 day may be enough. You can look at sightseeing bus prices here. So first thank you for this review it was very helpful. I actually used a Paris Museum Pass several years ago on my 1st visit to Paris and loved it – I found it saved me money, time, & hassle. I’ visiting for a second time in 2 weeks, but this time I am traveling with my parents who have never been to Paris before. So I am thinking of getting it again. Trying to decide between the Paris Museum Pass alone or getting it with the Paris Pass. We’d like definitely do the Seine River Cruise, sightseeing bus, and opera tour but I am not sure yet about the other activities. I’ve read your helpful review and I guess I just need to do the cost calculations! Ok, so my question is if you could tell me the best way to reach Palace of Fontainebleau from central Paris? We’ll be staying in the Marias area. I’ve never traveled outside Paris before and any advice would be much appreciated. So happy to hear you are returning to Paris and had a such a good first experience with the Paris Museum Pass. We’ve used it a second time as well and still haven’t visited all the attractions on it so we can definitely recommend it for a second visit. In terms of the Paris Museum Pass versus the Paris Pass, it really depends on what you want to do and see and if you will use the travel card. Normally we find if you want to see at least 4 attractions on the Paris Attractions Pass portion, you’ll save money with it. But there is also just the convenience factor. The easiest way to get to Château de Fontainebleau is to take a train from Paris and then at the Fontainebleau train station, you can take a bus that stops in front of the castle. You can catch a train from Gare de Lyon, take the train for either Montargis Sens, Montereau. or Laroche-Migennes. The train takes about 1 hour. Get off at the Fontainebleau-Avon station, then take the ‘Ligne 1’ bus towards Les Lilas, getting off at the “Château” stop. Entry is free with your Paris Museum Pass. Hope this helps and wishing you a great time in Paris! Where did you find the Paris Pass for only 72 Euro? Their website has it listed for over 250 Euro per person!!! Of course, if the desk is closed, you can always pick the Paris Musuem Pass up in the city or at any of the participating museums, I would just avoid picking it up at a busy attraction like the Louvre or Orsay. Thanks for the information about the Navigo Decouverte Pass – we haven’t tried it and just always do the carnet which work better for us traveling as a couple. We also normally arrive in Paris by train or car these days, so don’t need airport transport but I think this is another good option for travelers to consider!! Hello Jessica, do we have free access to the garden and park in Palace of Versailles by using Paris Museum Pass? The 2017 price of the 4 day Paris Pass is now 189€. The price of entry to the venues has increased about 20%. Unless you have more money that time, so it’s worth the price not to stand in line, the Paris Pass offers no financial benefit and is another luxury for speed travelers. because of venues that insist children, who are young enough to enter without fee, must still obtain a free ticket for which one must stand in line. For the price of a 4 day Paris Pass a couple can budget 2 extra days in Paris — have a more relaxing vacation, while spending a little of the extra time practicing your Italian, Spanish or Chinese while talking with people in lines. Quick Question: If I buy a 2-day Paris pass and go to museums on Tuesday and Wednesday can I do the other attractions on Monday? Is the attractions card a separate card and can be used on a separate day than the Museum portion? Hi Kelly, This is a good question and I was admittedly not 100% sure of the answer as I have never used the Paris Pass, just the Paris Museum Pass. However, I just checked with someone from Paris Pass to be sure and, yes, you should be able to use it as you wish as you’ll receive three separate cards/passes to use: Paris Museum Pass, Paris Attractions Pass and the Paris Visite Travelcard which you’d activate separately. Whereas most people would likely activate all three in the same day, you could activate one later in you trip although you still have to follow the rules of that pass. Hi there, Thanks so much for sharing your experience, especially from the perspective of someone traveling with lots of children and young adults since we don’t have that particular experience. 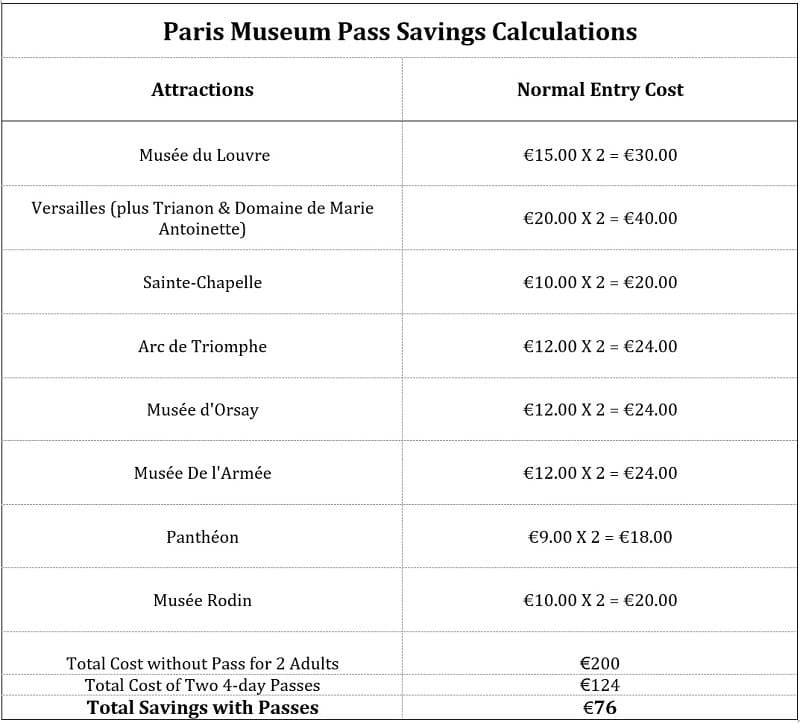 Yes, we have found the Paris Museum Pass continues to be a really good value from back when we first wrote this article (in 2013) through today. Even though prices have gone up in recent years, it is because the museum prices have risen at the same level. The metro ticket carnets (packs of 10) are a great value as well and we always buy these when we visit Paris if we plan to use the metro. Have a great trip to Paris and I’m glad that you found our article helpful! PLease let me know if Paris pass comes for 1 day ONLY? How much is the cost of 2-day paris pass? Why do you feel the Paris Museum pass is better than the cheaper Paris Pass? Thanks for stopping by! This is a good question as the Paris passes can be quite confusing to visitors. First, the Paris Museum Pass (4-day adult pass is €62 in 2016) is much less expensive than the Paris Pass (4-day adult pass is €182 in 2016). As described in this article, the Paris Museum Pass includes free entry (and normally skip the line access) at over 60 sites in the Paris region. However, when you buy the Paris Pass it now includes the Paris Museum Pass, extra included attractions, and a public transportation pass, the Paris Visite travel card, for the length of the main pass. 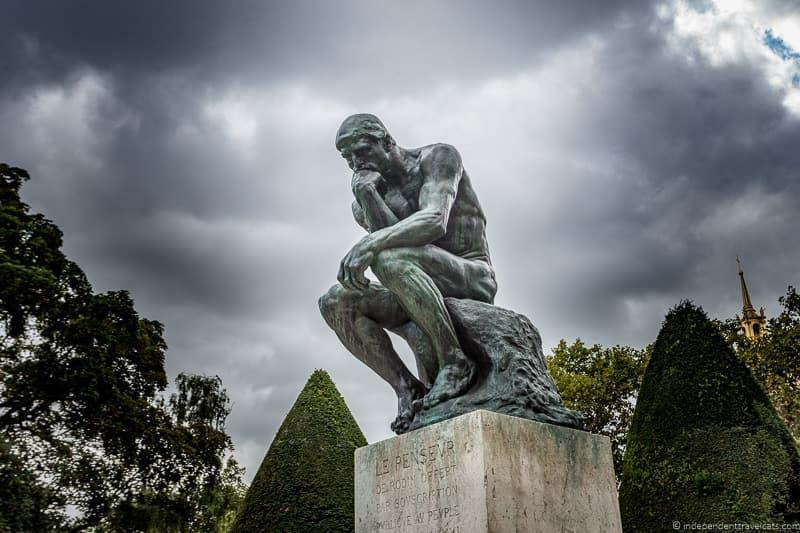 Basically you are paying more for the public transit card and for a few extra attractions not included on the Paris Museum Pass including a Paris Bus Tour, entrance to the Grevin Wax Museum and Paris Opera House, and a Bateaux Parisiens River Cruise. So if you are going to visit many of the extra attractions and use the transit card a lot, it might be worth it to buy a Paris Pass; however, for many visitors such as ourselves the extra cost was not worth it so we just bought the Paris Museum Pass. 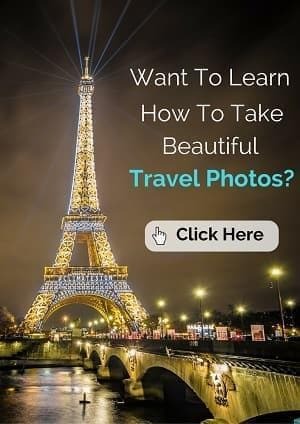 I would suggest seeing first what is offered by the Paris Museum Pass and then check out the Paris Pass to see if the extra attraction and transit benefits are worth the extra price given what you plan to see and do during your time in Paris. May I ask whether the price for the Paris Museum Pass is the same at CDG (buying when we arrive) as it would be if we purchased online and picked them up at one of the welcome centers? Just chanced upon this site! This is very helpful! We will be in Paris October 24-27 and then joining a river cruise on the 27th to the Normandy beaches. I will map out the sites and see if the PMP is worth it. Likely a 4-day pass. You mentioned that there is no skip the line access at Tower Notre Dame and Saint Chapelle and that it would be best to go first thing in the morning. Which of the 2 sites should we visit first? Enjoyed reading the comments and your responses as many of my questions were answered. My wife and I are Planning a trip to Normandy in late October, as my brother landed there, and will be in Paris October 30 and 31st. Are the lines usually shorter in Late October for the Paris attractions or is this just wishful thinking on my part? Thanks for the tips. I think I’ll get the pass upon arrival, to save shipping charges. I think I’ll get a 6 day, since I’m there for 7 and it allows me to be leisure and unplanned. You’re welcome Eve and yes we’d advise to get it there and not have to pay the shipping charges. The museum pass is worth the money just in saved time. One rainy day, when everyone headed for the Orsay — we did too. I’m guessing there was over 500 folks lined up in the ticketing line. However, we found the museum pass line with only about 10-15 folks and we all just walked in flashing our passes. We found our Versaille experience very similar. Folks were lined up all the way across the courtyard (and for those not familiar the front court is as grand as the palace) and we found our queued museum pass line waiting to be 5 minutes!! Although, we had to queue up to enter the L’Orangerie. we had less than 1/4 of the folks in our line. Considering the expense one spends to travel to Paris and the few precious days we can afford to be there — the Museum Pass an excellent investment. I went to Versailles last month. I arrived at about 10:00 there was already a long line to the chateau. So I went to the garden first, no waiting line, straight in. If you have budget, you can rent a golf cart near the garden entrance. I can’t remember the exact charge but something around 30-40 euro per hour. There are various restaurants in the gardens to choose from, also depends on your budget. I went to the chateau after lunch at about 3 pm. There were fewer crowds at this time so I could take good pictures of the Hall of Mirrors. I bought the 4 days pass which was worth it! By the way where will you stay? Last time I stayed at St Roch Hotel which was great and within 10 minutes’ walk to the Louvre, Tuileries Garden, Paris Opera etc and there were good restaurants around. Thanks Law for sharing your experiences with Adriana! Great Post! Thanks for sharing, very helpful. I will be going to London and then to Paris this October with my wife to celebrate our 10th wedding anniversary. Thanks Law, glad this was helpful. I can help answer your Paris itinerary questions via email. Hi, Thanks for the info, it’s really helped my planning. Is there a list of the attractions where we would get priority entrance anywhere? Thanks! Tower Notre-Dame > No priority access because security and ticket are the same line. Versailles > No queue to buy tickets but no priority access for the security line. For these three attractions, I advise you to go early or be prepared for a bit of wait. During our trip we also had a long wait at the Musée d’Orsay as for some sort of security reason that day they could not handle two lines. But generally you should have priority access and be in a much shorter line (or even no line at all!). Hope this helps and I will add this info later to the article so other readers can easily find it as well. Thanks for a clear and thorough description of the PMP. 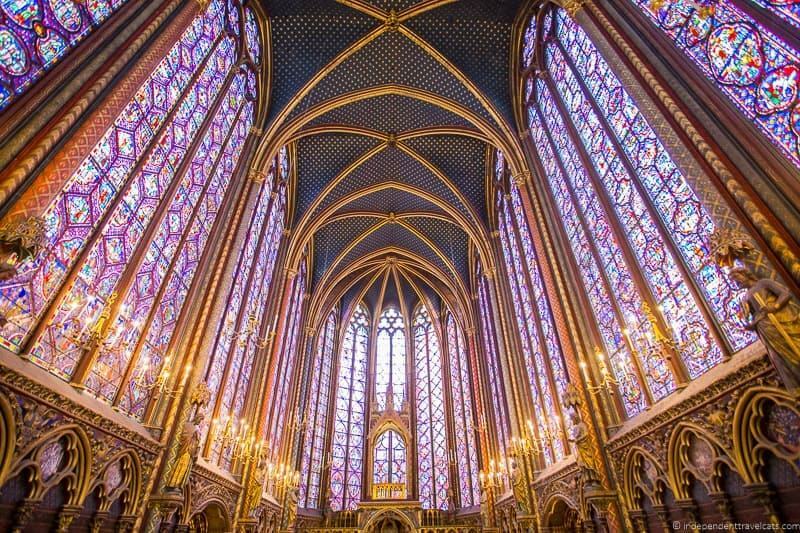 Any advice on a good time to go to Ste Chappelle to minimize wait? Hi Deb, lines can be quite long at Sainte Chapelle because of the small size of the chapel and the extra security here. We walked by this a lot and the lines seem to vary, but I would advise to go at or as close to morning opening as possible to minimize wait. Weekdays are going to be less crowded than weekends. Good luck, it is a beautiful gem. Love your blog. Question: I am grandma taking 2 adult daughters, and 3 granddaughters aged 15. If I buy 3 adult Paris Museum Passes, and the 3 teens get free entrance with student I.D., would we be able to use to fast lane to get in? Or the regular line to pick up the free tickets?? Thanks. Hi Kay, thanks. Yes, I think it will depend on the individual attraction as each has its own procedures. So the answer above seems to indicate that there will be a few places that will ask the teens to stand in line, but in many places (at least crowded places) you should be OK. If you are concerned about a particular attraction, I would probably contact them directly as each site determines its exact entry procedure. Hope this helps! BTW, if others have experience on this issue, please feel free to chime in! Great info! Do you happen to know if one can use the Museum Pass to get into a museum like the d”Orsay and once inside buy a separate ticket for a special exhibit. I know they have one on Van Gogh coming up and we’ll be there during that time in May… OR do you have to get into regular ticket line and buy the special exh ticket, show your pass and go in whenever all the people who just bought tickets. enter? Hi Judi, I am not sure, but my guess is that you will have to get into the regular ticket line to pay the fee for the exhibition as this is typically how museums work. I would call or email someone at the d’Orsay to find out for sure. Have a great time in Paris in May – our favorite time of the year there. I was hoping for a miracle answer but knew I’d probably need to call the museum. Thanks for replying! Of course:) I have found that places in Paris are pretty good at replying to emails though, I usually send messages in English with a Google Translate translation in French below. Have a great time at the d’Orsay, it is one of my favorites but it gets quite crowded so I would recommend going early or late. Great to know! I will have to forward this post to my MIL. She is planning to go back to Paris soon. Stopping by from SITs. Have a great evening! Yes, the Paris Museum Pass is really a money-saver, and perhaps more importantly a time saver, for many visitors. Just reading the list of attractions offered by the Pass is a good way for someone to start thinking about potential places to visit. I love using the paris museum pass. I’ve used it every time I’ve gone to paris and it has been a lifesaver! 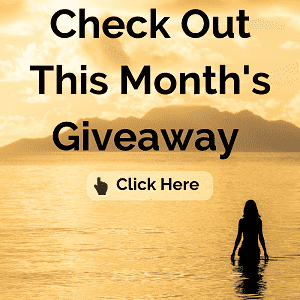 oh and thanks for linking up with Treat Yo’ Self Thursday last week! Hi Nicole, great to hear that you have used it multiple times. There are just too many places covered to do them all in one or two visits! Thanks Mal for stopping by! I used one of these passes when I was in Paris in 2010 and for me, the hands-down biggest advantage was being able to skip lines. It’s true that I usually still had to go through security, but the pass still saved me many precious sight-seeing hours. Thanks for a comprehensive look at how it works and how to calculate whether it will save you money. Even though I went to only a tiny fraction of the museums to which the pass grants admission (maybe 3 or 4?) I still saved money. Thanks Meghan for sharing your experience in using the Pass with my readers! Seems like a lot of us out there have definitely benefited from buying the Paris Museum Pass. Great, informative post! I get free admission in most museums in Paris, because I’m a EU citizen under 25, but if I weren’t museum prices in Paris would definitely quickly add up – tickets are just so expensive! I think for people that want to visit a lot of attractions in Paris, this pass may be well worth it! Louisa, Fall and Winter are the quietest times at Versailles. Avoiding weekends and Tuesdays (when tons of popular attractions close down in Paris) is generally recommended, especially in the Spring and Summer months. Getting there before 10am is one of the best ways to avoid the crowds. The palace itself is problematic when crowded but the gardens are so expansive you can always find some place to get away, and only a small percentage of visitors continue on to the other smaller palaces (Trianon & Domaine Marie Antoinette) so that is another way to get away from crowds. Yes, checking out these types of passes when traveling can often save you quite a bit of money (and time) as we keep discovering:) We are looking into a palace pass for our next trip to South Korea and it looks like it will save us quite a bit on entrance fees. Yeah! I will definitely have to try this out when I go to Paris, thank you so much for the suggestion! Glad it was helpful! Just let us know if you have any questions. I bought and used a Paris Museum Pass last month. I only had to visit three locations to end up saving money by buying the 2-day pass for 42 Euros. Being able to skip the ticket lines at the Louvre, the Musee d’Orsay, and the Arc de Triomphe was also a nice perk. I will definitely buy one again when I return to Paris! Thanks Megan for stopping by and sharing your experience using the pass! Sounds like it was a good choice for you. It can be hard to tell if buying a pass is a better option than individual ticket prices. Great post breaking down the options! Yeah, I think many times it is the best deal but not always. But planning a bit ahead can really help.